Equus Ourique offers stable and grass livery with turnout in large paddocks all year round. The 15 stables are light and well ventilated within a brick built American barn. Fields have top quality electric fencing with permanent wooden posts and metal gates. There are adjoining fields for horses who require company and separated paddocks for stallions. There is also a secure tack room, feed room, hay barn, covered wash bay and tea & coffee making facilities. The indoor school measures 20 x 40m and has a new rubber surface as well as training mirrors. The outdoor competition arena measures 50 x 70m and includes a set of training jumps, poles and cavalettis. Both schools have covered seating areas. An enclosed round pen is also available for loose work and lunging young horses. 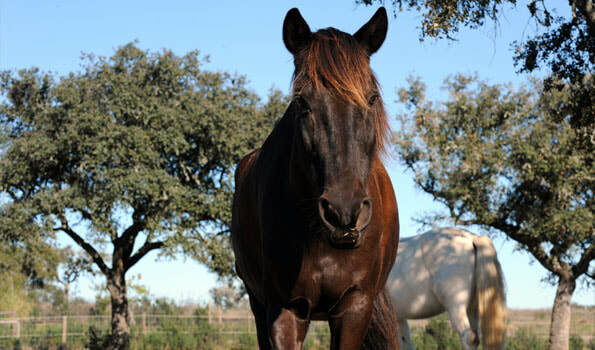 Equus Ourique also provides a superb retirement home for horses where the horses are cared for and checked on every day. They are in large paddocks with shade from trees or stables as required. 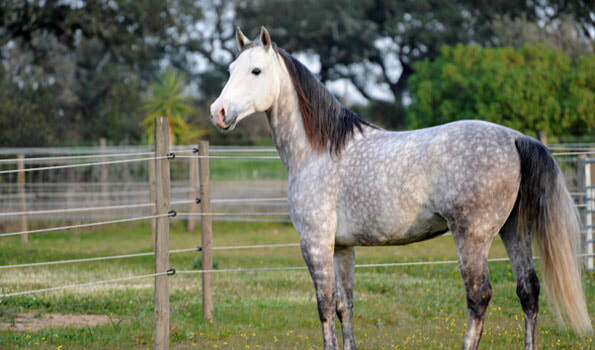 You can rest assured that your much-loved horse can have a comfortable and well cared for retirement. Horses from abroad are also very welcome. 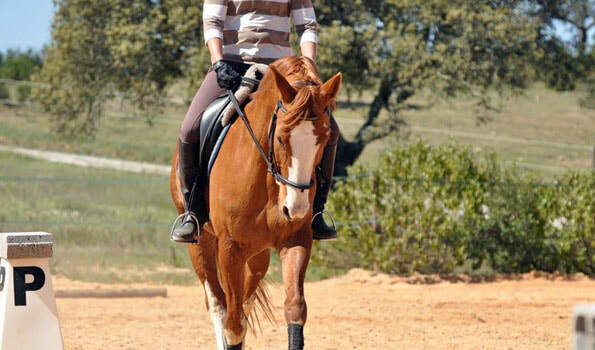 Schooling is available 5 days per week at €150 per month. Please contact us for other flexible working options.